Good old January. You’re back in work, it’s probably raining and you’re still reeling from the recent loss of the most wonderful time of the year. In fact, the only evidence that Christmas ever happened is the extra inch you added to your waistline (#AbsolutelyNoRegrets). But it’s okay - you’re feeling positive as you focus on your ‘new year, new me’ plan to get in the best shape you’ve ever been in. You smile, pick up your spoon, and dip it into a mouthwatering bowl of….er….muesli. This isn’t breakfast; this is edible disappointment. Diet or no diet, you deserve something better - something fast, filling, and as packed with low-calorie nutrition as it is flavour…. Meet the VonShef Omelette Maker. Getting an omelette right is deceptively difficult. A delicate balancing act of timing, instinct and deft handiwork, there are many tricky factors that determine whether your eggs become a perfect omelette, a plate of rubber or even worse, a slimy mess. Unless you’ve got the VonShef Omelette Maker, of course. Simply whisk your egg mixture together, pour it into the non-stick tray and in as little as 5 minutes your omelette will be ready, cooked perfectly on all sides. 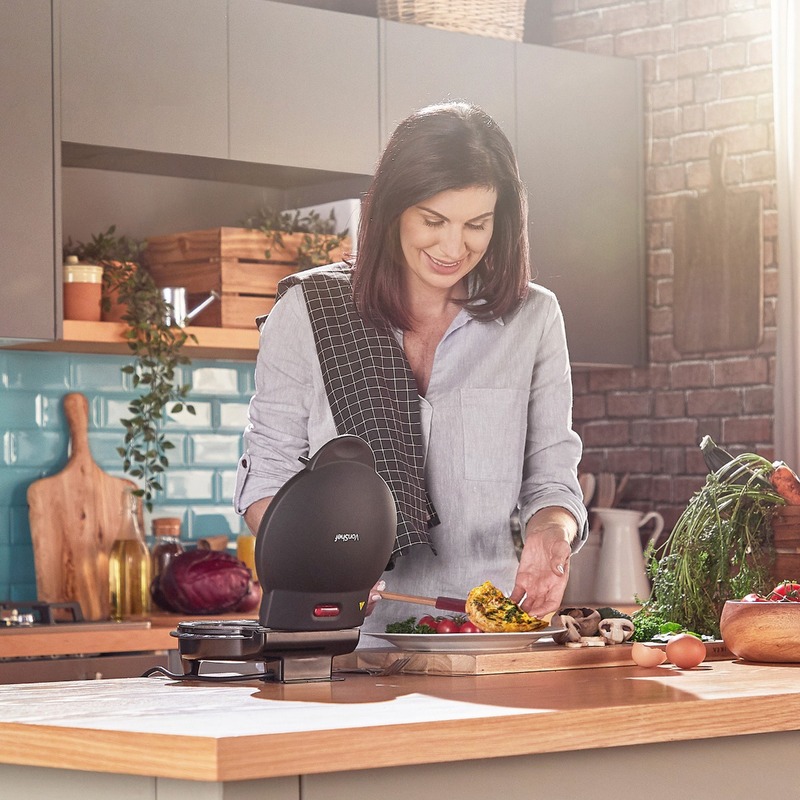 With an indicator light to let you know when it’s fully heated and a non-stick coating for cooking with little-to-no oil, enjoying freshly made omelettes simply doesn’t get easier than this. 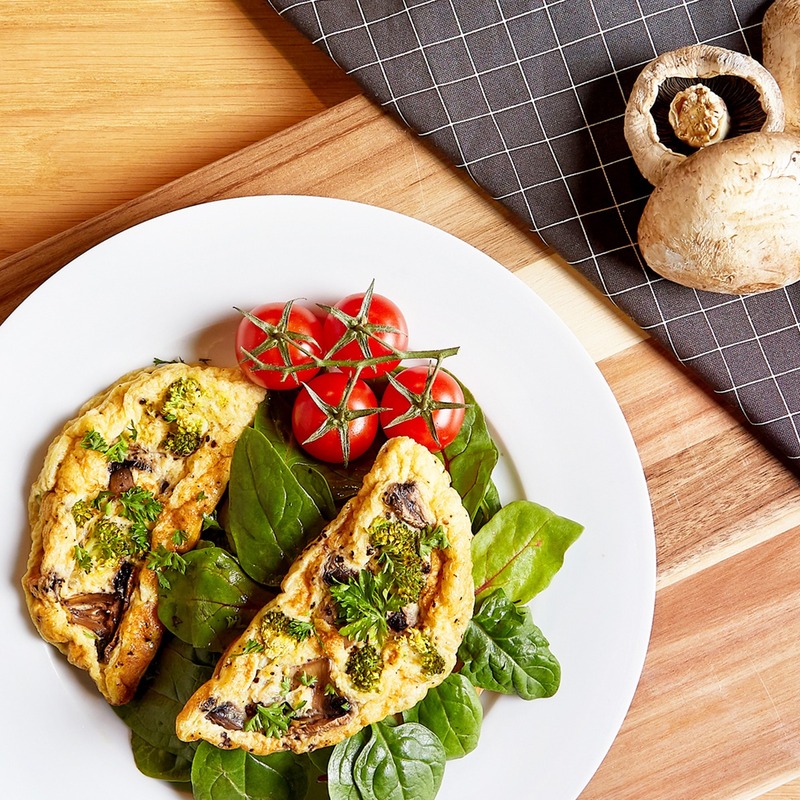 For those taking their January diets quite seriously, you’ll be glad to know that omelettes are packed with protein, are low-carb and can be enhanced with all manner of extra veg, meats, herbs and spices for serious flavour variation. Don’t just take it from us - check out this delicious, totally Syn-free recipe from Slimming World for an All-Day Breakfast Omelette, packed with bacon, sausage, tomato, onion, mushroom and more. 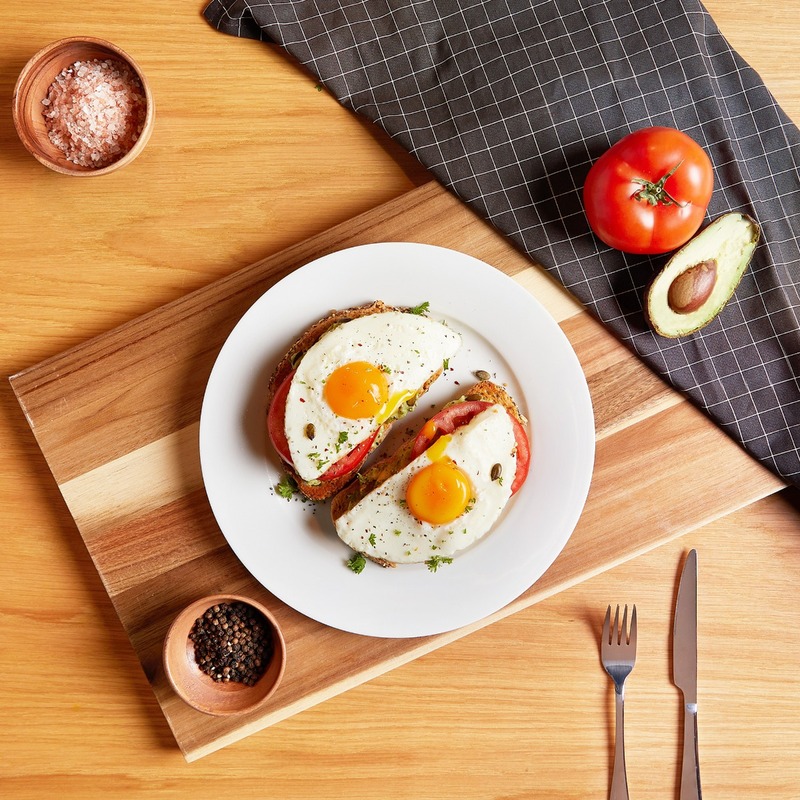 Fancy eating your eggs another way but don’t want to compromise on convenience? No worries. 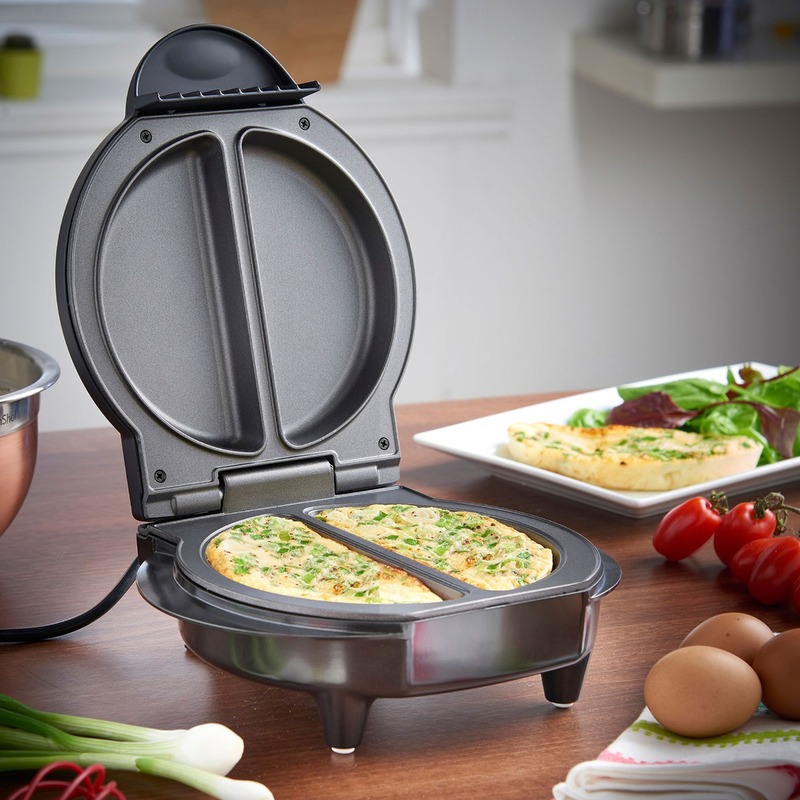 The VonShef Omelette Maker makes easy work of cooking scrambled and fried eggs too - perfect for giving you 5 minutes to pop in the toast and brew your coffee! If you want to enhance your January diet with delicious, freshly made omelettes, the VonShef Omelette Maker is the easiest way to start. Compact and convenient in a sleek black colourway, this handy device makes a welcome addition to any kitchen countertop.